These six central stations are intended to serve commuters of which city? Hints: Only one of the six stations serves a new commuter system. The other five drawings of future stations might replace existing stations that center systems with over 60k daily commuters. 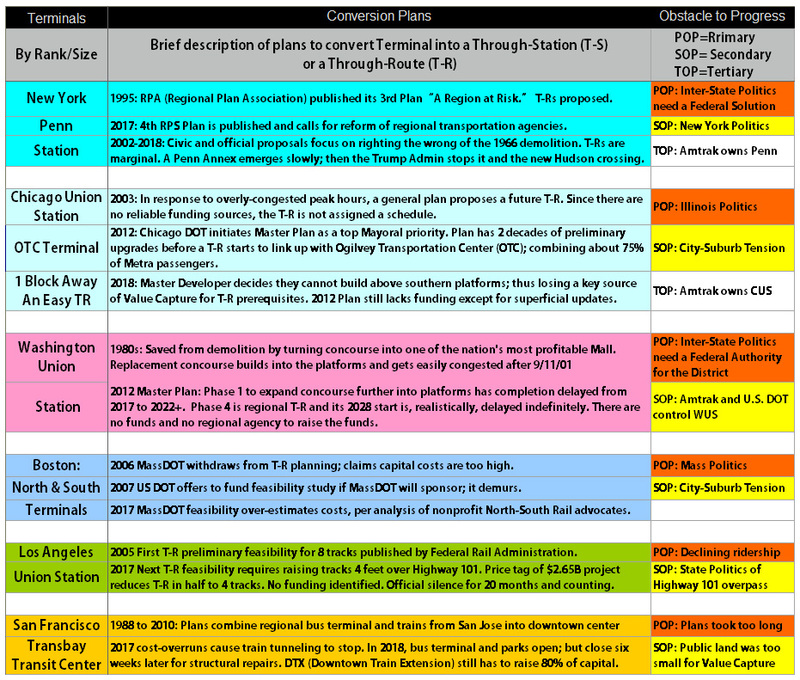 As this website’s serialized chapters will explain for each city, there is little reason to believe U.S. central stations will be re-built to a European standard; thus not U.S. taxpayers or commuters as they should. For our quiz and your free subscription … Scroll through the six drawings below and, if necessary, read their hints. After you know the cities of at least three station drawings, then click on any of the six renderings and you link to the Answer page. For each of the six, you get a station photo followed by a synopsis of this website’s forthcoming chapter explaining briefly why the drawings are not becoming a reality. If you correctly know 3 of 6 of the stations below, subsequent chapters are free. We are on the honor system for this reason: we are going to figure out together how to make great stations again. Successful stations and transportation policies are directly related; changing one changes the other. To get notifications of “What Stations Teach” go to Contact; Free Distribution.